Nice concept. Also, it was neatly done. Staring at them...beautiful asucaga. 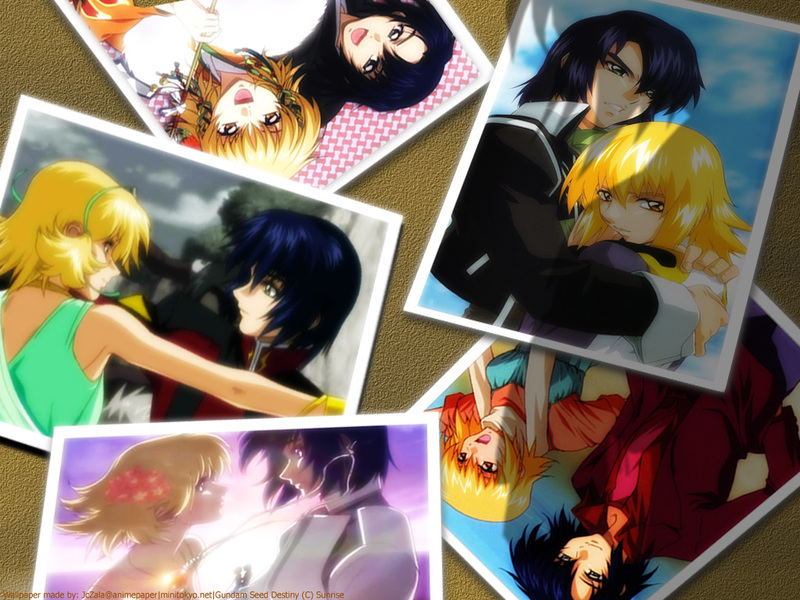 Pretty Picture of Athrun and Cagari and the shadow of Athrun(I'm right?) so cool!, This wall match for the name "Pictures of Us" nice concept. Yay! Really love the picture and shadow concept! Keep up the really cool work! Whoa! Very nice and perfectly done *squeals cause I'm a big fan of Asucaga* Adds to fav instantly! Thanks! This is so cool! Good skills. I would never be able to do something as nice as this. And this wallpaper is fabulous!